I really wish I’d gotten this post up sooner (like, December), but you know… life. 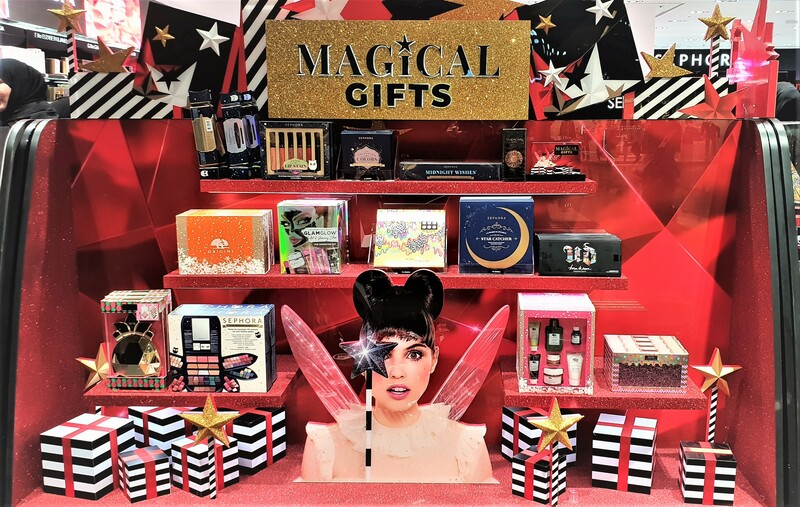 In this post, I’ll be going over some New Items, Skincare, Hair Care, Perfume, cute stuff at the “Aisle of Doom“, the Brand Gift of the month, and most importantly, a few of the discounted items during “Beauty Friday” (Sephora’s version of Black Friday)! I’ll start by going over all the Sephora Holiday Sets. This (shown above) was literally on the opposite side of the Too Faced Counter. All the other Holiday Displays scattered throughout Sephora featured several of the same products, which led me to believe that this was the main display.